This quick and simple Rosé Summer Sangria is perfect for cooling off in the summer heat. 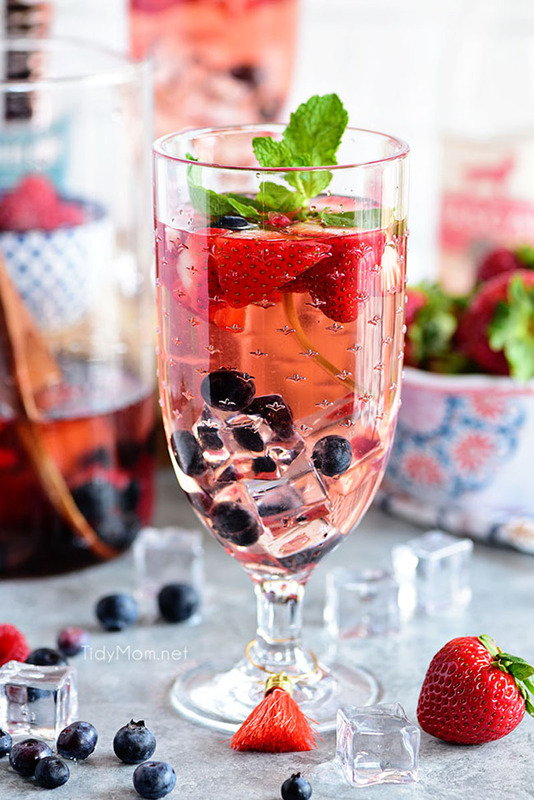 Sangria made with fresh berries, rosé wine, and kicked up with rum. Refreshing Rosé Summer Sangria perfect for cooling off in the summer heat. 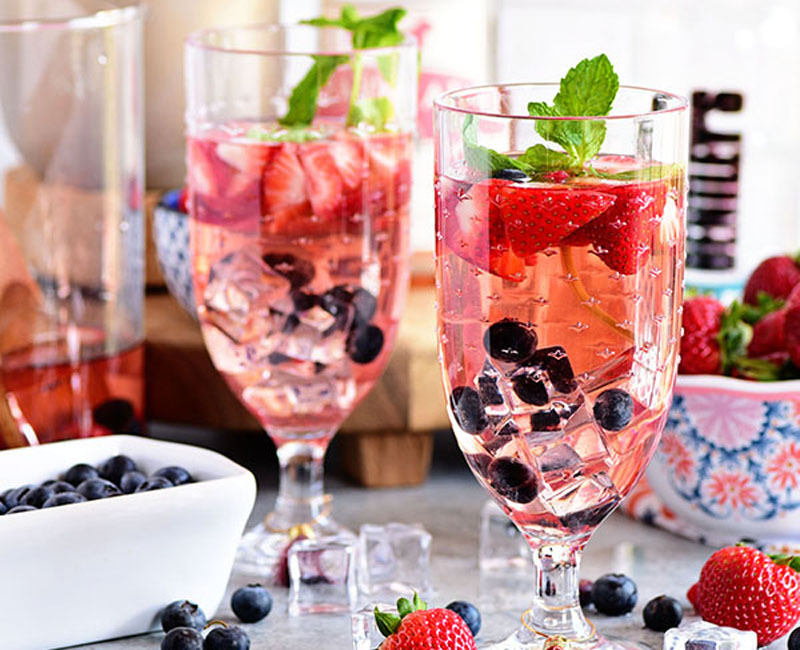 Wow your guests and serve up this easy rosé sangria recipe at your next party! A traditional sangria is actually a Spanish drink made with red wine, fruit, orange juice, and brandy. The mix of juices and wine gives it a deep red color and is part of how it got the name sangria. It comes from the Spanish word “sangre” which means blood. Since it’s origin, the drink has been adapted and customized over and over to make a whole variety of sangria drinks. You can now find both red and white sangrias, made with all different kinds of juices and wines. The main components you need to make a sangria of some sort is wine, fresh fruit, juice, and either rum or brandy. Rosé runs from sweet to dry, depending on where it’s from and what the base is. Choosing rosé from Oregon usually a good choice for a decent bottle at a cheaper price. Most rosé made in California is on the sweeter side. Combine all ingredients in a large pitcher. Stir gently to mix. Refrigerate until serving. When ready to serve, give the pitcher another gentle stir and pour into glasses over ice, if desired. You may want to reserve some fruit to add to glasses when serving. This recipe can easily be halved. Just be sure to re-cork the rosé and store in the refrigerator.